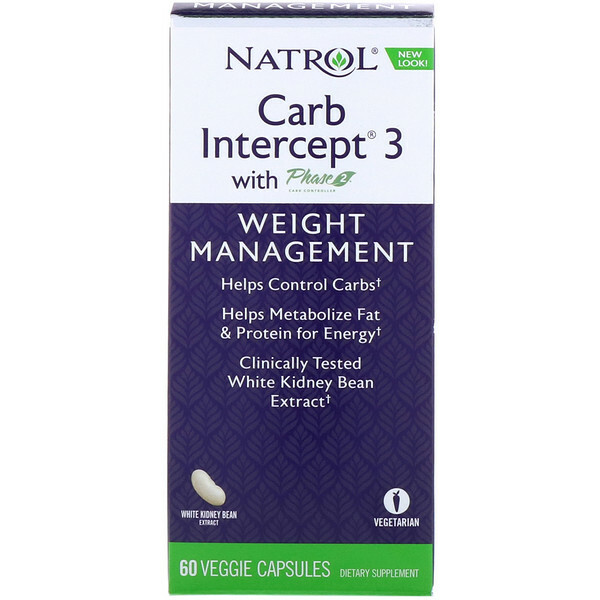 Carb Intercept 3 with Phase 2, a patented and clinically tested all-natural white kidney bean extract shown to help control carbs by reducing the enzymatic digestion of dietary starches. 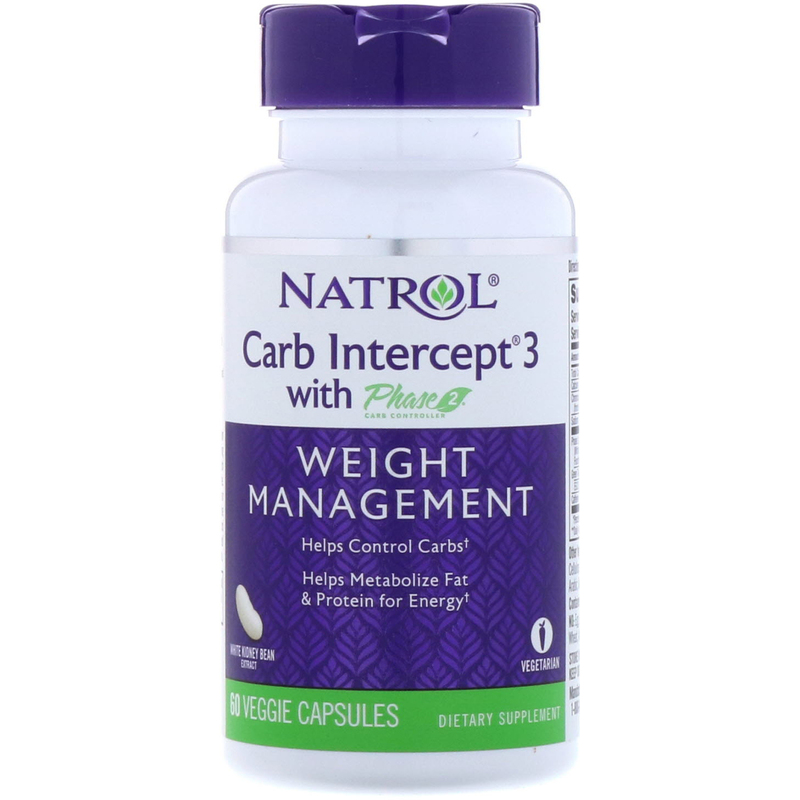 This is the first carbohydrate "blocker" that's clinically proven to delay the digestion of carbs, which reduces the caloric impact of starchy foods. Carb Intercept 3, includes Green Tea and Caffeine which may help rev up metabolism and calorie-burning. Includes the antioxidant Green Tea extract to help neutralize free radicals produced by regular exercise, and caffeine to promote energy and mental alertness. Hypromellose, microcrystalline cellulose, dicalcium phosphate, silicon dioxide, gum arabic, magnesium stearate, maltodextrin. NO: Egg, fish, crustacean shellfish, tree nuts, peanuts, wheat, artificial colors, added sugar or preservatives. Consult your healthcare profession prior to use if you have or suspect a medical condition, are taking prescription drugs, or are pregnant or lactating. Each serving contains as much caffeine as about 1 cup of coffee. Limit the use of caffeine-containing medication, foods or beverages while taking this product. To much caffeine may cause nervousness, irritability, sleeplessness and occasionally rapid heartbeat. 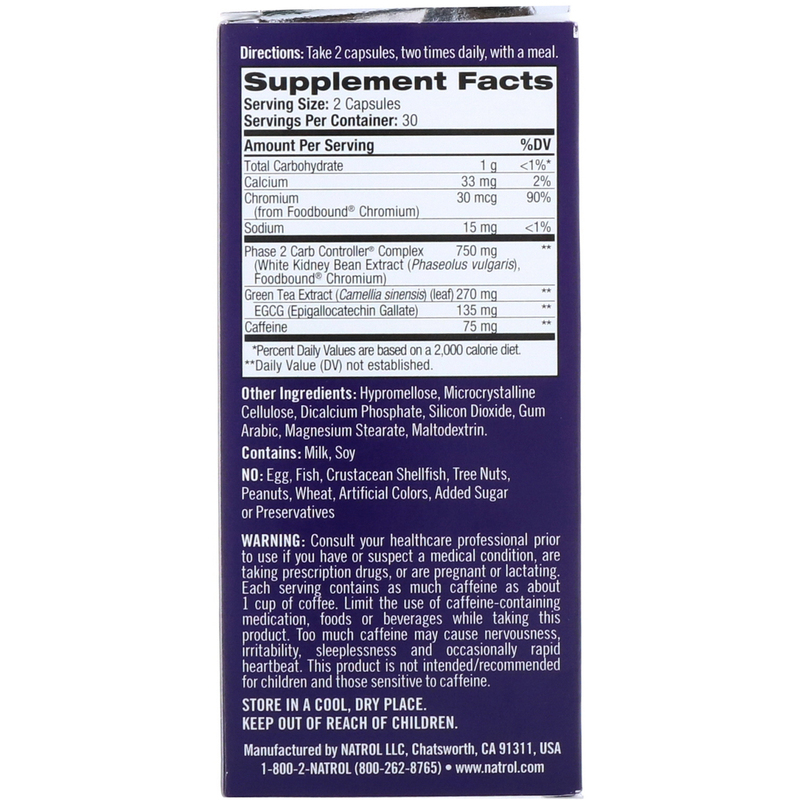 This product is not intended/recommended for children and those sensitive to caffeine.